Special THC Oil, where there is more THC than CBD, with a Ratio of 1/4 CBD/THC. Oil of 10[ml] with 0.2% CBD (Cannabidiol) and 0.8% THC, made from sustainably produced hemp/Cannabis sativa flower extract. In a Bottle with Drop counter. The Cannaliz Technic product category offers Oils where a specific CBD/THC ratio is the Key Aspect of the Product. 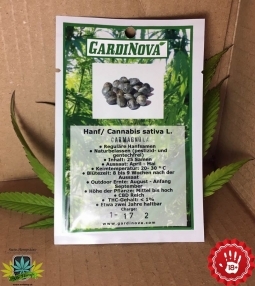 The specific Ratios can be obtained either because a particular hemp/cannabis sativa blossom has a special Ratio by Nature, or through a special Method, Chromatography. This particular 1/4 THC Oil is made using a Process called Chromatography, which allows for a stable Formulation. Chromatography is a Laboratory Technique that separates the Components of a Mixture; It is a Form of Purification. This allows us to define a specific Ratio that is stable while preserving all Components of the Extract. 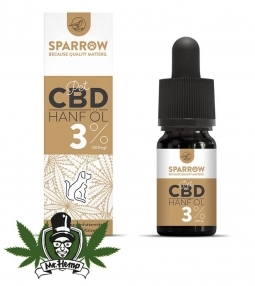 The Mixture is carefully prepared with organic olive oil, which has been selected for its Properties and Harmonizes perfectly with Cannabis extracts (CBD). Despite the Cleansing, it contains the entire Spectrum of action of the Hemp Extract, as it contains all Cannabinoids, Terpenes, Sequiterpenes and Flavonoids, which ensure a very wide range Of Effects. 1 Drop (1/20[ml]) = 0.1mg CBD; 0.4mg THC.